I created this blog because I was starting to post about domaining on my Post Foetry blog, which is somewhat off topic for that blog, and I suspect that non-domainers were either lost or bored (maybe both). Somehow, making a connection between writing and domaining was, at best, a stretch. Domaining is a new venture for me, although I bought my first domain name in 2001 and set up an accompanying website around the same time. But then my website sat empty for one or two years because I had no idea what to do with it (meanwhile I was still paying $14.95 a month for a product I wasn't using). I have dubbed my new company Jennifer International. The name has a certain panache and seems to rank fairly high in its category on Google. In fact, Google seems to adore the name "Jennifer," perhaps because of all the Jennifer celebrities. At the college where I teach part time, I dabbled in some web page sessions offered by IT; for those of a certain age, you know how it is with IT people: they are blasting to the moon, while you're rooted to the ground. I left those sessions mostly confused and sometimes in tears. Somewhere on my college IT account, there is a picture of a frowzy-looking woman who looks like she has lost her front teeth and links leading to nowhere. I do certainly hope that page has slipped somewhere into cyber hell. Then I wrote a book and needed a better way to advertise it; somehow, finding a need for a skill is a great motivator, so I bit the bullet and retrieved my Yahoo! User ID and password and started learning how to use Yahoo's PageBuilder. In 2004, my husband (a Fulbrighter) and I were bound for a year in Skopje, Macedonia; we bought a new laptop, loaded with all kinds of new software: PowerPoint, FrontPage, and Adobe. In between writing a memoir (now completed), I taught myself PowerPoint--again, out of necessity. I was scheduled to give some lectures at the American Corner in Skopje. Oddly enough, the corner does not offer overhead projectors for its lecturers, but works with PowerPoint, so I spent a weekend figuring out how to manage PP. Fortunately, my PageBuilder experience came in handy, and I was able to slap together some basic presentations. I eventually became better at it. After I returned to the states, it was suggested by my college and department that faculty should get up to cyber speed and offer a home page and online syllabi for our students. To this day, I find our IT options bewildering and ever-changing, so I decided to post my school page on a subdirectory of my commercial account. After learning PowerPoint, I taught myself how to use FrontPage and redid my pages. That was all fine and good, but my commercial domain name is rather long even without a subdirectory, and my students were having difficulty finding my college portal page. I don't remember how I discovered redirecting domain names (probably by tinkering around in my Yahoo! domain account), but I knew about it when I snapped up the other TLDs for Foetry (a now inactive forum where I was a member and later an administrator) so that we could protect the name. (I have done the same for my blog Post Foetry). So after a year of struggling with my students not being able to access my page, I suddenly got a flash of insight; if I could redirect the Foetry TLDs to the dot-com, why couldn't I snag a short version of my name and redirect it to my college portal page? My students know me as Jennifer Siegel, so I did a search and discovered that the dot-com domain was available. Problem mostly solved (though my last name is still often misspelled). My school page is a simple ad-free portal (except for my book), offering links to my syllabi and information about me and my interests. Students don't need a fancy website to access; they need information about their courses and maybe a little about the profs teaching them. I first heard about domaining in 2002 and, ever since, have been fascinated by it, although I confused it with cybersquatting (now, of course, I know that they are not the same thing). To be honest, it never occurred to me that generic and major city names could be a major source of income, but I did understand that a short snappy domain name could be very brandable. I also understood the importance of developing a web presence and snagging one's dot-com personal name. 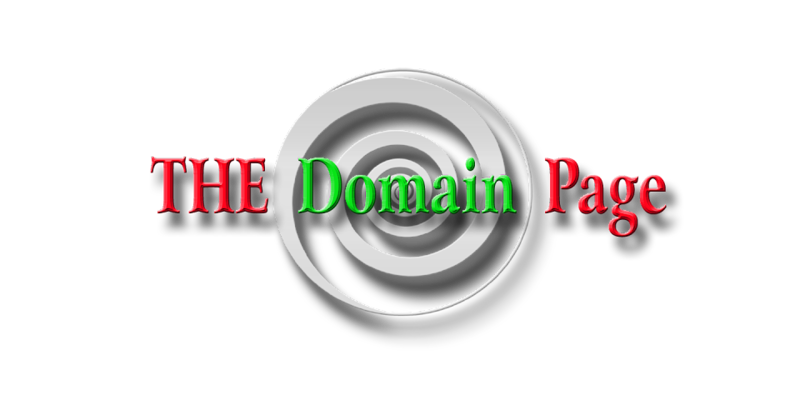 But at that time, domains were expensive ($35.00 to $50.00 a year), so, at that time, domaining was out of the question. Then in Spring of 2007, when I was seeking a domain name for Post Foetry, I needed a quick and safe way to check availability of domain names. I was having difficulties sorting out the different ICANN sites for accessing domain names; most of them were just plain confusing, requiring one to jump through all kinds of hoops. Alan Cordle, friend and founder of Foetry, e-mailed me and suggested that I try DomainTools. Talk about a simple site to navigate. I was hooked. One thing led to another, and I started flipping around on the site, first finding the domain typo generator, which was designed for companies to look for typos of their trademarks so that they could lock them up. But I saw it as way to get ideas for regular, non-trademarked and non-registered generics. Then I discovered the DomainTools Blog, where savvy domainers go to post reactions to industry news and offer tips and ask questions. I have since found other blogs as well and at least one great forum. I have spent the summer learning about Keyword Optimization, SEO, building "organic" sites, parking sites for domains, Direct Navigation. I have also developed a small domain portfolio, which kind of scares me, because this is a bill that has to be paid yearly; one does not truly "own" domain names. After 60 days, I'm going to try and sell some of the domains that I won't be developing. Yesterday, I snagged my first one-word dot-com domain: Lexiconist.com. Now I don't anticipate the offers rolling in because it is an obscure and formal term, but word and dictionary people will understand the importance of this word. Anyway, it's just the thought of finding a real one-word dot-com without paying a huge price for it. I have a lot to learn yet; I have arrived late to this game, and most (if not all) of my domains are what I call second and third tier names, which, of course, means that they will need to be developed before they generate traffic and make money. Also, I still lack sufficient technical skills, and that is limiting me right now, and I'm not quite sure where to begin. I have some ideas about developing great landing pages, with a good balance of content and ads. But I'm doing everything manually, and I'm thinking that much of this (except for content) could be automatized. I can see that parking on commercial sites is not an huge income generator--who wants to stay on a page with just ads? I wouldn't. But my developed pages aren't much better; my AdSense is not yet optimized. However, I have gotten this far, and I'll learn what I need to learn. I adore the idea of pulling in a nice income while doing my work at home and in my pajamas. P.S. Yes, I do have the MsDomainer.com domain. Thanks, Nomi, for all your patience over at Post Foetry.